The world is obsesssed with power. But the Bible reveals the most awesome power of all: that of Kingdom Authority, the same power unleashed when God raised Jesus Christ from the grave. The good news is that this same power, the greatest power in the universe, is available to every believer today. But most Christians never experience this power. They live in darkness and defeat of the world and its weaknesses. Satan and his minions work to keep them from the inheritance that is theirs. But Adrian Rogers, beloved Bible teacher and preacher of the gospel, can show readers how to experience the awesome power of God's working in the world to build his kingdom. The world is obsessed with power. But the Bible reveals the most awesome power of all: that of kingdom authority—the same power unleashed when God raised Jesus Christ from the grave. The good news is that this same power—the greatest power in the universe—is available to every believer today.But most Christians never experience this power. They live in darkness and defeat of the world and its weaknesses. Satan and his minions work to keep them from the inheritance that is theirs. But Adrian Rogers can show readers how to become a part of the awesome power of God's working in the world to build his kingdom. Adrian Rogers (1931-2005) was one of Americas most respected Bible teachers, communicating to millions through his Love Worth Finding radio and television ministry that continues today. 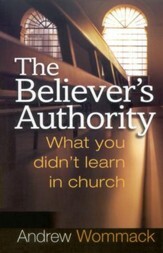 He was also senior pastor of the 27,000-member Bellevue Baptist Church near Memphis, Tennessee, and a popular author whose books include What Every Christian Ought to Know and The Incredible Power of Kingdom Authority. This item does not currently have a DVD study available. 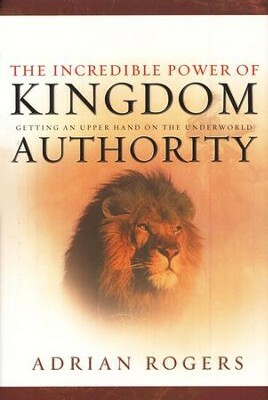 I'm the author/artist and I want to review The Incredible Power of Kingdom Authority.